A great social media marketing strategy for your brand is essential to building an audience online. If you really want to stand out there are two big social networks to tap into, and these are Pinterest and Instagram. Would you like to have more influence? Whether you are just beginning your marketing strategy or need to build upon your existing community of followers these two power houses can help bring in more brand ambassadors and attract new subscribers to your website. A successful personal brand should be engaging on social media on a regular basis as this builds trust and expertise. There are many ways to use both Pinterest and Instagram to your advantage, which begins with knowing your target market. • Use hashtags for more interactions – Both social networks employ the use of hashtags in their posts, which are invaluable when it comes to search. Instagram lends to a higher and faster rate while Pinterest does well with re-pins and comments. Post quality for both images and video are also important on both Pinterest and Instagram and will garner the most responses. • Adjust your comments and replies – Just like any of the other social networks such as Facebook, Twitter, and Google Plus your brand should be posting and commenting according to the preferences of each network. 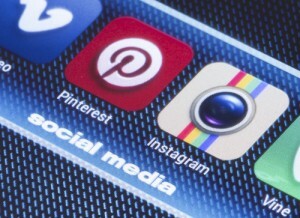 Instagram users will often ‘tag’ names and use hashtags while Pinterest typically includes comments and links. This makes it less inclusive than Instagram, however; the latter tends to produce more engagement. • Encourage your audience to visit your website – By having your website link prominent in the profiles of each network your brand will start to bring in more subscribers as the activity picks up on each account. Keep in mind that links are live on Pinterest posts while on Instagram they only appear as text. • Connect with influencers – Both Pinterest and Instagram tend to have an advantage over other social networks in that they tend to be easier to connect with people and brands in your niche. As you follow them be sure to comment and share their posts, which will attract more growth to your networks. As Pinterest and Instagram continue to expand it is important for your brand to make them a regular part of your marketing strategy. Keep in mind that although audience building can be fast this should not replace comments and replies with your followers in order to maintain growth. There are many resources available to help you manage both social networks, and with Instagram in particular mobile apps are available for scheduling and re-posting. Take advantage of visual resources like Canva, Flipagram, PicMonkey, and more to help your brand create stunning images and video that your audience will love and share.